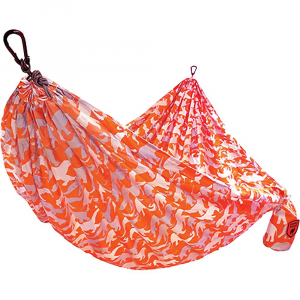 "Hammock Bliss Camp & Hike Sky Kid SKY KID SKYKID. It is just the right size for teens. The Sky Kid hammock features 100 / 250 cm of super strength 6mm climbing rope on each end so you have everything you need to hang it. The Sky Kid is made from nylon parachute material and is both machine washable and dryable. 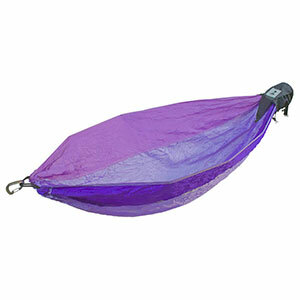 Pack the entire hammock inside the attached storage bag for easy storage. 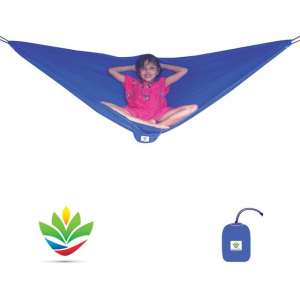 Hammock Bliss Sky Kid - the hammock made for just for KIDS."